Through his unique and tasteful style, Grammy® Award nominee Chris Maresh has firmly established himself as one of the most in demand studio and live performance musicians in Austin, Texas. 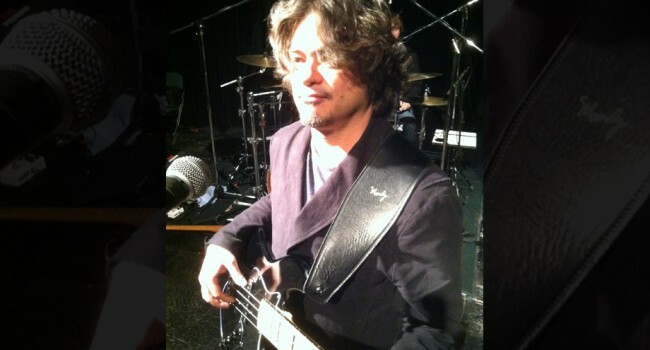 As a virtuoso bassist and composer, Chris Maresh began his professional music career in Austin, Texas in 1984 after receiving a BM in Applied Double Bass Performance with an Emphasis in Jazz Performance from the University of Texas in Austin. Over the past 27 years, Chris has performed on more than 200 albums. A major career breakthrough was his 10 years association with guitar legend Eric Johnson and his side project Alien Love Child where his composition “Rain” was nominated at the 44th Grammy® Award’s for Best Pop Instrumental Performance in 2002. He has performed and recorded with artists and organizations including the Austin Symphony, Kenny Wayne Shepherd, Pinetop Perkins, Mitch Watkins, Bonnie Raitt, Willie Nelson, Marcia Ball, Michael McDonald, Monte Montgomery, Ferenc Illenyi, and Ellis Marsalis, just to name a few. In 2002, 2005 and 2006 Chris was named “Bass Player of the Year” at the Austin Chronicle Music Awards at the SXSW Music Festival. He has appeared on Eric Clapton’s “Crossroads” Festival DVD and Eric Johnson’s, “Live at the Grove“ DVD. Recordings for movie soundtracks include Spy Kids 2, Once Upon a Time in Mexico, Michael, Happy Texas, and Sliding Doors. Most recently, Chris was chosen to be interviewed in a promotional video as part of the 60th Anniversary of the Fender Precision Bass 2011. He is a guest lecturer at the Austin MediaTech Institute, and has been teaching master classes. He has released two solo albums of original compositions, “Tomorrow“ and “Side Street“.